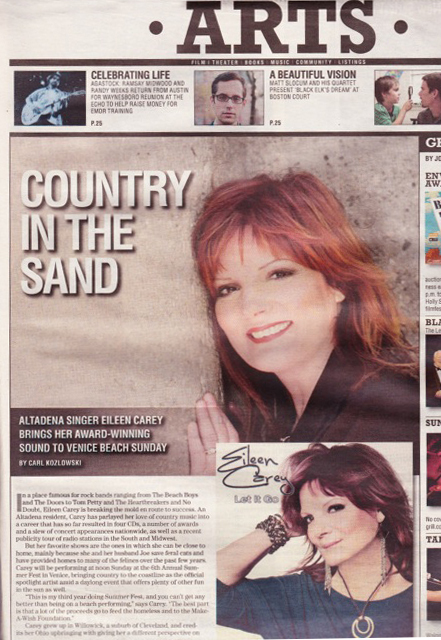 Press – Page 3 – Eileen Carey music: country pop rock music & female artist songwriter with music CD's available online. 1) Let It Go is your latest album. What does it contribute to the story of Eileen Carey, the performer? I think my music has always had an upbeat, life is good if you just choose to let it happen message in it. It is a personal choice whether to embrace it or not. All my music advocates that embracing….Possibilities 2002, Hearts of Time 2005, Movin On 2009 and now Let It Go. In the context of your question, I would have to answer that I am sticking to my guns about the messages of faith, hope and doing it; and my music carries that message in the new CD. I am a woman of my word. Do not flip-flop about my beliefs and advice. So in some case this CD is more of the same. A renewal of my commitment to my ideas. Musically as well actually. 2) Which tracks off of Let It Go are your favorites, and what about the efforts make them? I am a singer as well as a songwriter…different tracks on this CD are favorites for different reasons. I love my cover of Martha Davis’ 1982 hit with the Motels, “Only the Lonely.” Travis Allen Childress, my producer, nailed the ambience of the song. Obviously the first single off the CD, “Let It Go,” who I wrote with Kathryn Grimm has special meaning to me. It is, being the title song, the summation of this album’s specific positive theme. 3) What artists possess the greatest influences on your music? Well, I am going to start off by listing some of my favs that I have sung as well here: Patsy Cline’s “Walking after Midnight”; Chrissie Hynde & the Pretenders’ “Don’t Get Me Wrong,” also on this Let It Go CD. 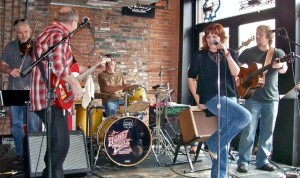 I always admired Cheryl Crow and did the only version of a Keith Urban and Vernon Rust tune on my last CD Movin On. Songwriters like Diane Warren. I already mentioned “Only the Lonely, and Martha Davis…but also the Beatles, yes the Beatles. I grew up in a suburb of Cleveland playing drums and that had an influence on the tempos of the music I sing. Didn’t think of my music as “country” specifically, but right from the start country radio picked me up for “That Town”. It originally went to AC but country radio promoter Gene Kennedy picked it up and it got airplay across the country stations. 4) How has your style evolved and changed over the time since your first album? Music gave me a way to express myself and share what I have learned and what I still hoped for. I am a better singer-songwriter today, but as importantly my style has become more diverse and refined. Let It Go is my best work. Thematically similar to the past, but much more open and fan orientated. We use horns on this record and I even sung a real pop tune in “Walking on Sunshine” that old (late 70s) Katrina & the Wave song. I am country, but I just couldn’t help testing my reach on that. 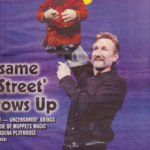 Been performing it on stage lately, and I get nervous every time it comes up in the set; but the response has been gratifying, especially at the Fairs and Festivals where I perform to very diverse crowds on both coasts. 5) Can you describe your creative process and your recording set up for us? Well, when I start thinking about what is on my mind that needs being said, I start writing songs and looking for material that I identify with and is a challenge for me to sing. The avenues that my material comes from is as diverse as is my tastes. If I am singing and arranging another songwriter’s song I make it mine. Generally as “Country” as possible. Lyrics are a key element in what I choose to sing. When I have written or chosen the material I go to Travis and we arrange it so we can send it to these Nashville studio musicians, who have been recording the basic tracks on my music for years now. The vocals, back-ups, sweeting, solos and other additions are done here in Los Angeles at Travis’ studio. The mixing as well. We master at Sonic Vision Mastering here in Los Angeles. 6) How can interested readers listen to your music? 7) Do you have any live dates or performances that you are promoting? Just came off a very long spring and summer stint of engagements. House of Blues Hollywood, Rippy’s & Honky Tonk Central in Nashville, Spotlight Artist of the 6th Annual VeniceFest on Venice Beach, CA for the Make A Wish Foundation, Orange County Fair, The Grand Ole’ Echo in Los Angeles, The Doll Factory, etc. Still filling in upcoming dates to go along with a September 22nd to the 26th whirlwind 5 five days running radio and dance club tour for the new single “Bottle Your Crazy Up,” now booked in Tennessee, Kentucky and Alabama. I am, with other concerned animal and cat lovers, going to produce a feral cat adoption fundraiser and direct adoption event here in Los Angeles in late November or early December for the holiday season. We will play a set, along with some other friends and artists at the event. Most of my plans for the Fall besides promoting this single, “Bottle Your Crazy Up,” are my writing and recording a 5th CD. Know what I want to do…can’t wait to get back in the studio. 8) What has been your most memorable live experience? I have been playing homeless events for some years now; and it is hard to imagine a more memorable experience in recent years than the homeless crowd that danced freely and happily to my music during the 5th Annual VeniceFest for the Make A Wish Foundation on July 28th, 2013. I have had plenty of full houses and appreciative audiences, but that particular “Country in the Sand” afternoon is quite memorable to me. This year was fun, but that performance was special. Obviously, my performance for winning Americana Album of the Year at the L.A. Music Awards was an inspired show. One not easily forgotten. But my most prominent memorable moment in music came when I first heard myself on the radio in 2002 here in with “That Town” here in L.A. I knew I was home! 9) What goals do you still have left to accomplish in your career? On an artistic level I can’t help but want to continue to make good records and make people feel good. I want to increase my song writing skills, and I want to direct movies. My short but somewhat successful career in film, before music took over, as an actress (Hoffa, Basic Instinct and the original Batman film, along with advertising campaigns like my role in one of Ray Charles’ Diet-Pepsi commercials) has left me with a taste for film. I want to open or a couple major acts this year and next; and I am starting to work on a new CD. 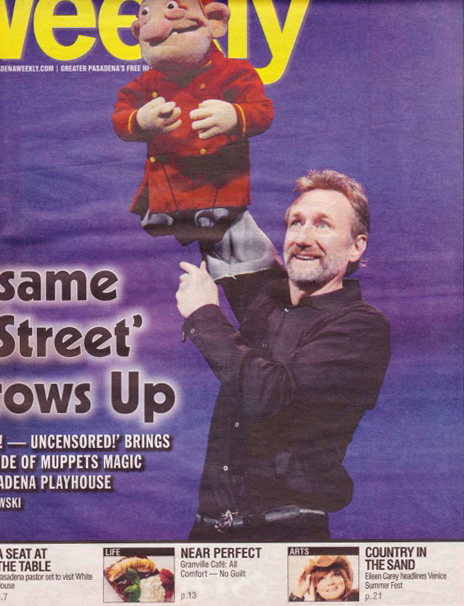 You can never stop striving if you want to earn the audience’s attention. 10) Thank you for your time. Do you have anything else that you would like to say to our readers? Yes, Country music is about real people and their real lives. It is a wearing your heart on your sleeve music. We are regular Joe’s! We like are music to be about what is real and tangible in our lives! And we like to be able to sing the hook. But mostly, it’s all about the lyrics, the story!! 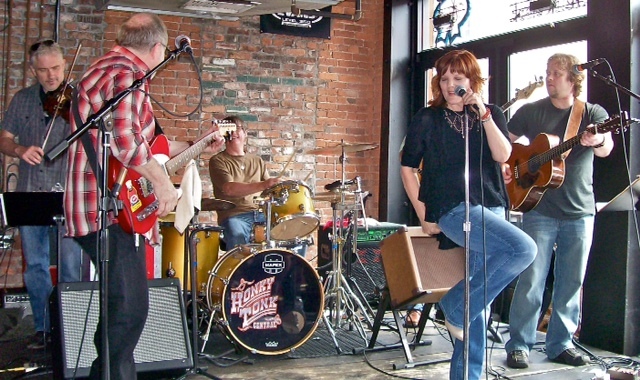 In a place famous for rock bands ranging from The Beach Boys and The Doors to Tom Petty and The Heartbreakers and No Doubt, Eileen Carey is breaking the mold en route to success. 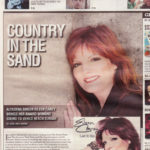 An Altadena resident, Carey has parlayed her love of country music into a career that has so far resulted in four CDs, a number of awards and a slew of concert appearances nationwide, as well as a recent publicity tour of radio stations in the South and Midwest. But her favorite shows are the ones in which she can be close to home, mainly because she and her husband Joe save feral cats and have provided homes to many of the felines over the past few years. Carey will be performing at noon Sunday at the 6th Annual Summer Fest in Venice, bringing country to the coastline as the official spotlight artist amid a daylong event that offers plenty of other fun in the sun as well. Carey grew up in Willowick, a suburb of Cleveland, and credits her Ohio upbringing with giving her a different perspective on country music than most of her artistic peers. She was surrounded by rock music there before moving to California to work in a Sheraton Hotel as an assistant beverage director, and it was her experience there that inspired her to go pro as a performer. Carey calls her style “West Coast Country” because she considers her songs to be a mix of the sounds that were prevalent in every town or city she’s lived in. Her determination to develop her own sound has paid off with her being named by the local CBS television station KCBS as one of the top 10 rising female musicians in Los Angeles. 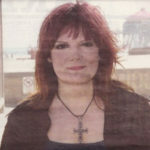 While she is determined to find success as an independent artist outside the major-label system, Carey also has offered her wisdom to other female musicians as a co-founder of FemMuse.com and TheMusicMom.com, which are tied to organizations that provide support and information for women artists and musicians. In addition to her work with music and cats, Carey has studied kickboxing at Classic Kickboxing of Pasadena for the past 10 years, raised two kids who went to Pasadena’s Mayfield junior and senior high schools and owned the KFC restaurant on North Lake Avenue before she and her husband Joe decided to sell it off about six years ago. While she and her family lived in Pasadena for seven years, she is happy she made the move to the smaller neighboring community and plans to stay rooted there for a long time to come. When you gotta make a living, it’s a long way from being one of the Ray Charles Uh Huh girls to being the ambassador for Super Cuts, but since Carey’s act is built around been there/done that and owning it while passing on the wisdom, it’s all good is the watch word here. Her messages don’t hit you over the head, and since Charles liked country music so much, it shouldn’t be such a stretch finding the transplanted Ohioan to LA tracking her music in Nashville. All that and she still has time to cover ‘Walking on Sunshine’. A worthy successor to the divorcee pop pioneered by Dory Previn et al in the 70s, somebody has to chart the course for the rest. This certainly won’t take the guys away from March Madness but the girls have to be doing something in the meanwhile. 1. In the last year what is the one thing you accomplished you were surprised by? 2. In the upcoming year what are your top three goals musically that you want to accomplish? 1) A hit single 2) Create alliances with the most creative people in country music. 3) Reach an international audience. 3. What is your guilty pleasure when you get off a tour? LOL…they are not very guilty. Hanging out with my family, my animals and my friends. It is much more exciting than you would imagine though! 4. What is your current challenge personally you are pushing yourself to achieve? 5. Who would be your “dream artist” to do an opening act for and why? 6. Who was your most influential artist in your early years? 7. Do you have hobbies that keep you busy when you are not on the road/in studio? 8. “What is at the top of your bucket list besides music? 9. 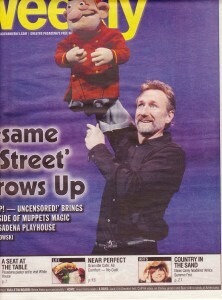 Do you have a “lucky charm” you carry on stage or a routine for good luck you do before you go onstage? I am not superstitious. I carry my faith with me wherever I go! 10. What is your favorite comfort food? I’m Irish! Potatoes! Any kind of potatoes! 11. Current project you are promoting (SINGLE – TOUR – CD etc.) and what are you most excited about it?? (Nashville, TN January 31, 2014) Sometimes a song is more than a song. Think Garth Brooks’ “The Dance,” which animated an entire generation to see life for its possibilities, not its pitfalls. Or Joe Nichols’ dare-to-dream epic, “The Impossible.” Now comes Eileen Carey’s sassy new single, “Let It Go,” to remind us that we can soar if we only have the grit to cast off those petty circumstances that tend to tie us down. 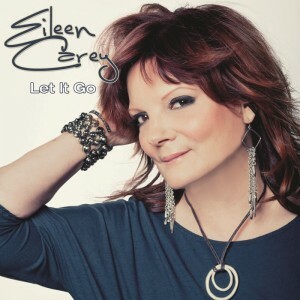 Eileen will debut “Let It Go” on CDX No. 588 and MPE on Monday, Feb. 3, and follow up the release with performance, interviews and meet-and-greets at Country Radio Seminar in Nashville Feb. 19-21. “Let Is Go” is the title track from Eileen’s current album set for release this February. A native of Cleveland, Ohio, Eileen Carey currently lives in California, where she’s distinguished herself as a singer, actress and artist-ambassador for the Supercuts beauty salon chain. In 2009, she won the Los Angeles Music Award for Americana Album of the Year and in 2010 the Producer’s Choice Award for Dance Single of the Year. Her movie credits include Hoffa, Batman and Basic Instinct. “I try to use my music to give people a different way of thinking, a different outlet,” says Eileen. In “Let It Go,” she achieves that goal magnificently. Eileen will give listeners a preview of new songs from her soon-t0-be-released CD, “Let It Go.” She and her music director and co-writer John Groover McDuffie perform some of this new music live in the studio.